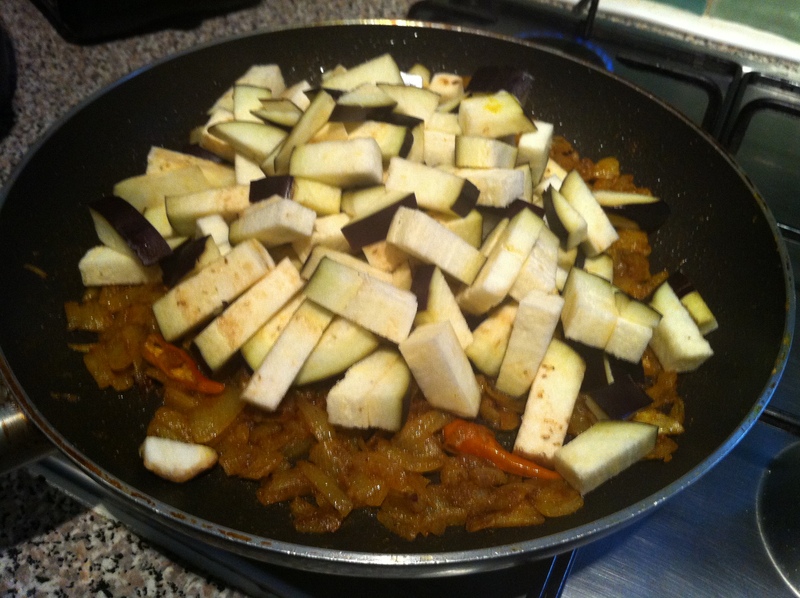 Aubergine Bhaji (curry) – Food That Makes You Smile! 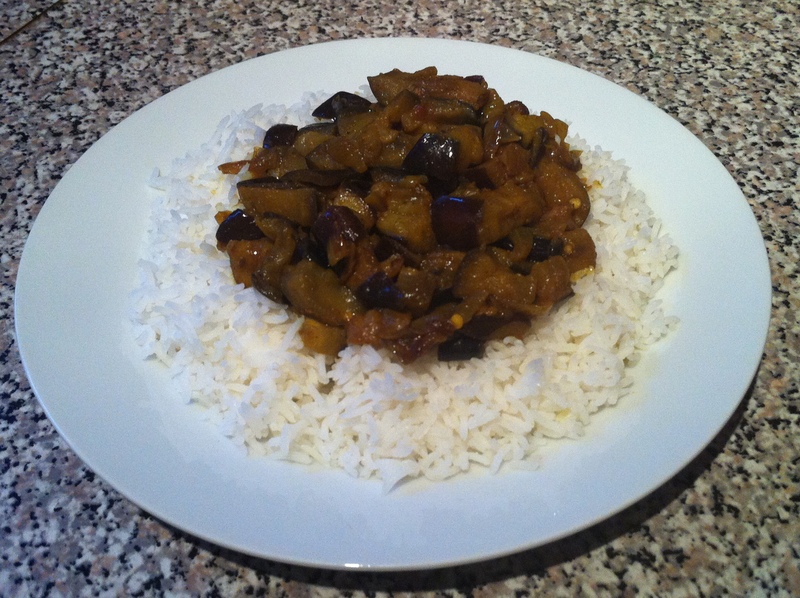 You could call this a curry, but usually a curry is associated with the idea of being a sauce based dish. But a bhaji, in my household, means a ‘dry curry’. It doesn’t mean it is dry though, just that it isn’t cooked in a sauce. 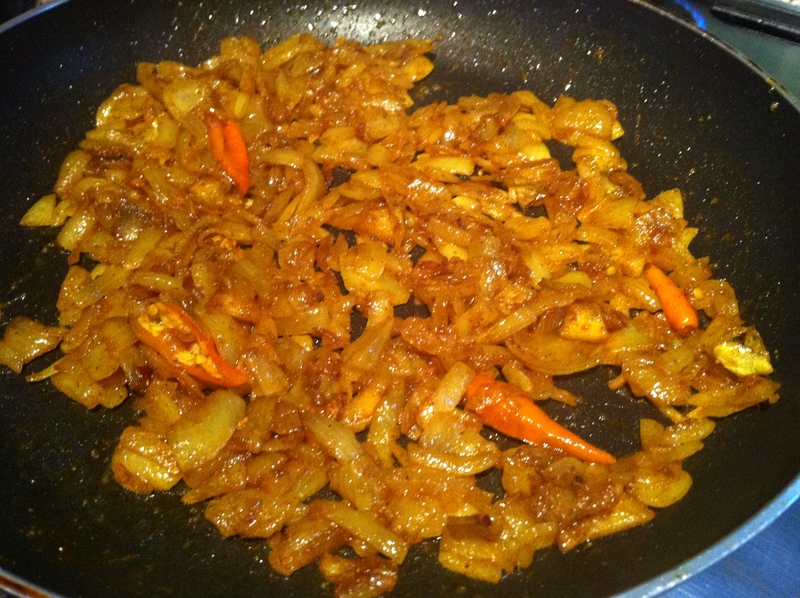 In the Bengali language (Sylhet dialect), this dish would be called (phonetically) ‘bengon baazi’, i.e. 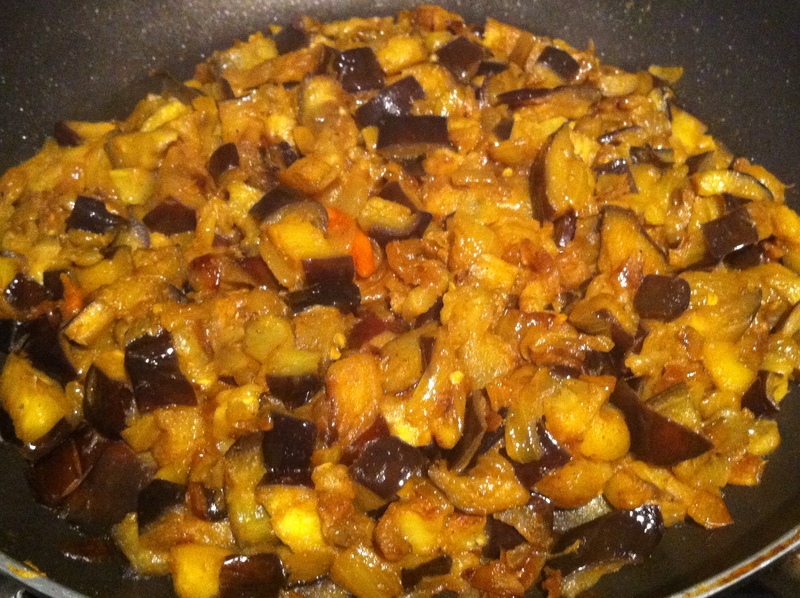 aubergine bhaji. The word ‘baazi’ in Hindi means something completely different, like ‘a fight’, hence not naming this dish Aubergine baazi! For those who may be confused as to what aubergine is, the other name for it is eggplant. Anyway, enough of the language lesson, let me tell you how to make this simple but wonderful dish. My mum came to stay with me for a few days last week and taught me how to cook this – I still can’t believe how simple and easy it is to cook, with the prep time being the lowest out of any curry I have made before. So you could say, this is a family recipe. 1. 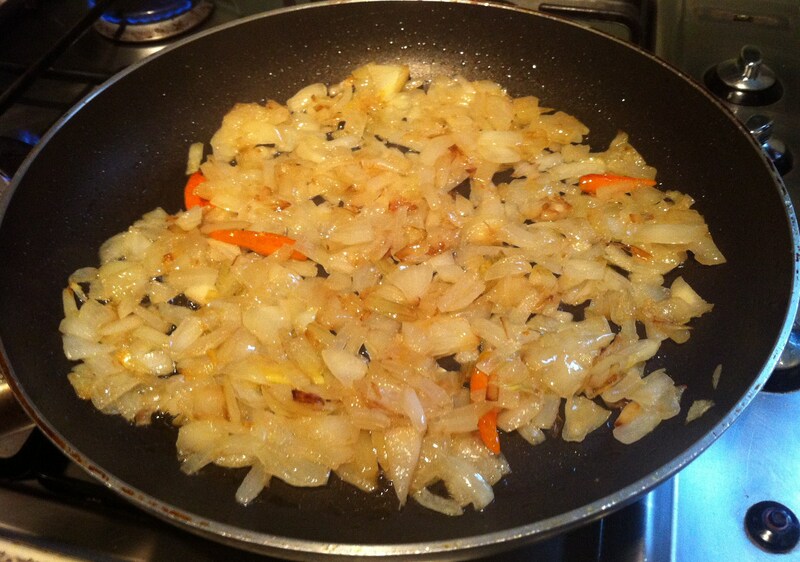 Heat a pan up with the vegetable oil and add the diced onion. Cook for a few minutes until it starts to soften. Make a slit, lengthways through the red chillies, but don’t cut all the way through. Use as many as your palette can take (my original one had 6, but that’s because I love spicy food). The reason why you would use red instead of green chillies is because this is a dark coloured dish, and the green when cooked through loses it’s colour. Whereas you can spot the red and leave out when serving. Add to the pan, along with the salt and continue to cook the onions until lightly golden. 2. 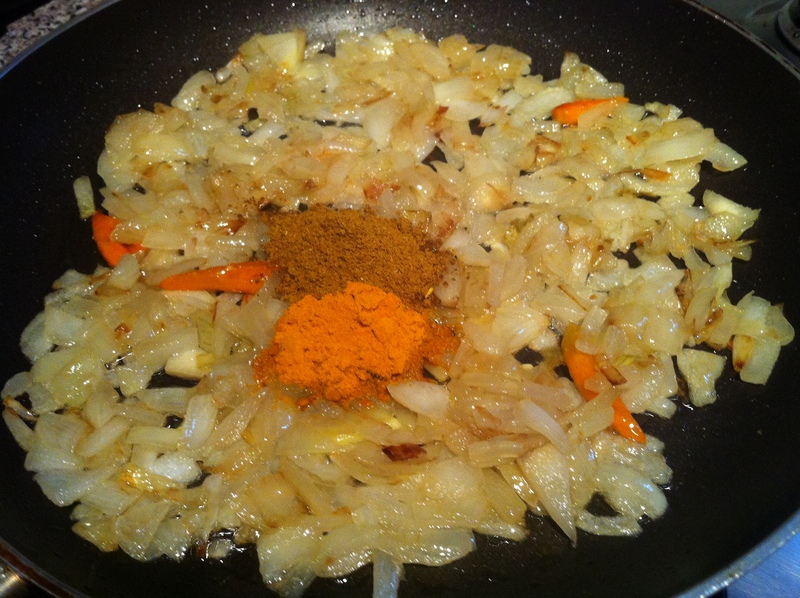 Add the Curry Powder and Turmeric and mix until combined properly. Cook this for a minute or two to bring out the flavours. 3. 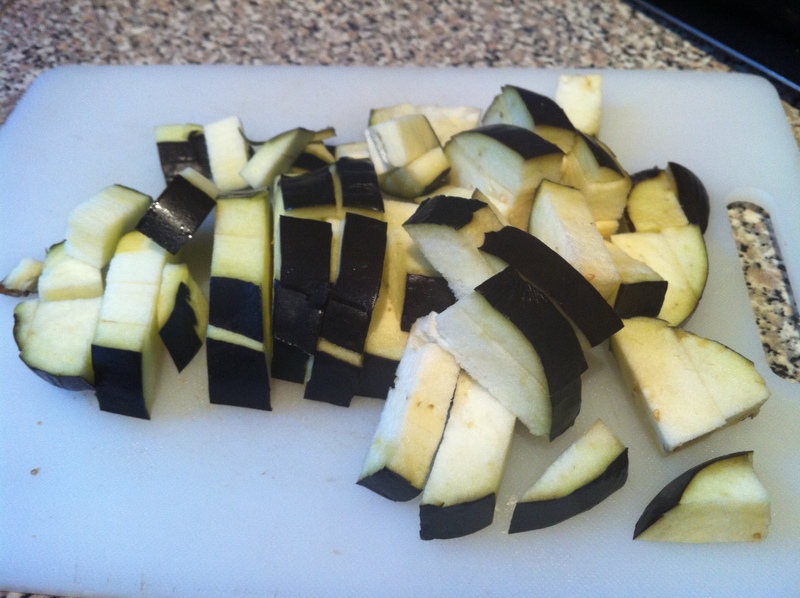 Wash the Aubergines and make approximately 6 slices, lengthways. Cut each slice in half, lengthways again and slice in the opposite way to create 1 cm chunks. 4. Add half the chunks in first to coat with the onions, but promptly add the rest to coat and to ensure it all cooks evenly and at the same time. Although it may seem like too much in the pan at the beginning, once it starts to take in the heat, the volume in the pan will begin to decrease to half. 5. 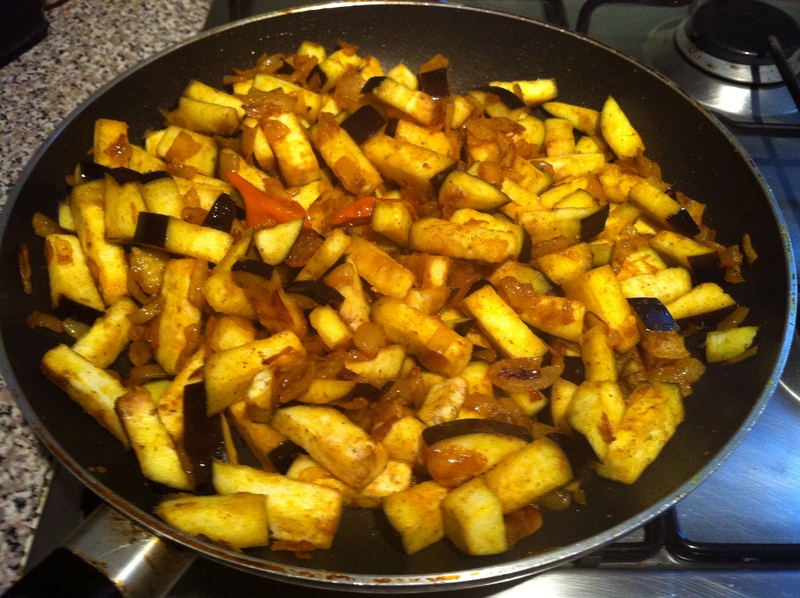 Cook this for 15-20 minutes, or until the aubergines are softened and cooked through. Try it and add some more salt if needed. 6. 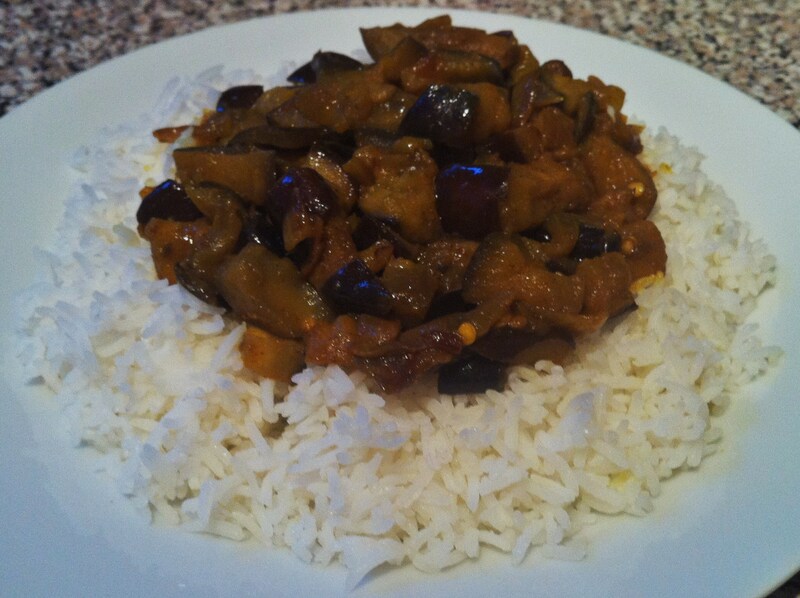 Serve with some Basmati rice and enjoy the sweet taste of the aubergine with the slightly chilli kick from the spices.